We are all aware that climate change is an issue affecting us all. Our commitment is ongoing and includes – a continued reduction of our office paper consumption, the updating & purchase of fuel efficient company car fleet, reduction of our electricity usage and installation of water saving devices in our office. 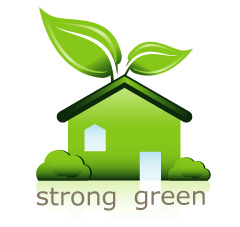 We will be upgrading our Strong Green initiative over the coming months to introduce a greener approach to real estate. does your home have water saver shower heads? is there a water tank on the property? have you got a grey water system installed? do you have dual flush toilets in all bathrooms? do you have a recycle bin for green waste and other recyclable materials? does your property have provisions for a compost bin and vegetable garden? are your air conditioning and heating units up to date with servicing requirements? do you have low energy lighting?